Developing a heart for giving back and helping others is one of the most important personal benefits youth can obtain through active involvement in a 4-H program. During this season of thanks , 4-H members all over the United States will put the third sentence of the 4-H pledge into action as they “pledge their hands to larger service” by planning and carrying out a multitude of community service activities to help families that are in need. Since its inception in the early 1900’s the 4-H program has place an emphasis on improving the community in which they live through the guidance and care of adult volunteers. As we pause this week to celebrate the season of “Thanks” we must also remember to emphasize to our youth that the focus should not be on who can consume the most food, but instead to use the meal as a vehicle to connect with family and friends while enjoying their company. Adults and youth alike should take a pledge during the meal time that no one will post, text, or make a call during family time…but instead exercise some of the great communication skills they have learned in 4-H and get to know each other better. It’s amazing how much our families and friends don’t know about us even though we see them almost every day. Youth should also be encouraged to think of those that are less fortunate and seek out ways they can help those in need as a club, family or as an individual project. A great club or family game can be initiated that requires youth, friends and family members to write a list of all the things they are thankful for and provide fun prizes for the winners… which should be everyone that participates. As a 4-H Youth Development Professional I am also grateful that the largest serving youth program in the world continues to make a positive impact on the lives of young people. Using the 4-H pledge as a guide I have shared just a few impacts below. I pledge my head to clearer learning…”I’m thankful that through active participation in a variety of programs and activities youth are learning decision making skills that will help them in school and later in life as they develop into responsible adults”. I pledge my heart to greater loyalty…” I’m grateful that continual 4-H club involvement provides youth an opportunity to build caring relationships with members of the club as well as the adult volunteer leaders. I pledge my hands to larger service…I’m thankful that the community service projects that are carried out in each club entitles you to make someone’s life a little brighter. I pledge my health to better living for my club, my community, my country, and my world….I’m thankful that through their participation and completion of projects youth are learning what to put in their bodies to keep them healthy as well as what not to put in them. Let’s continue to use 4-H as a vehicle to make our world better by taking time to invest in your future leaders of tomorrow…..our 4-H members of today. Help 4-H continue to grow by joining as a member or volunteer. Florida 4-H offers a wide variety of programs and volunteer roles to fit your skills, interests, and schedule. Contact your local UF IFAS County Extension Office, or visit http://florida4h.org. 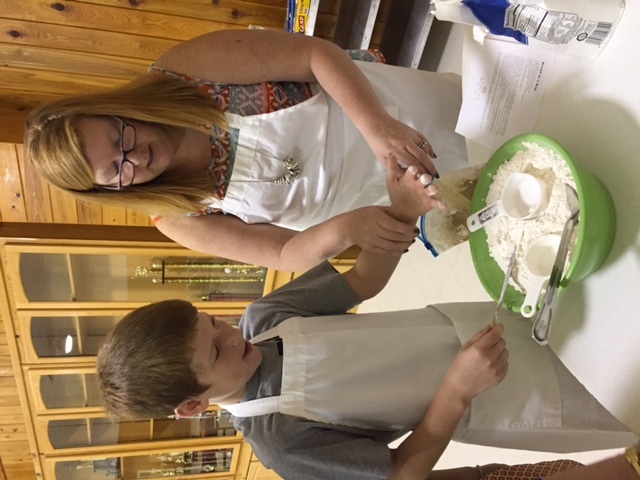 A Liberty County mother and son participate in the UF IFAS Extension Rediscover Bread Baking And Jam-Making Workshop. Many years ago, a young girl attended a 4-H livestock club meeting along with her brothers and her father, who was serving as the volunteer club leader. During the meeting the local county 4-H Agent paid the club a visit to talk to the members about participating in the upcoming 4-H County Events Contest. The agent shared different project areas and types of demonstrations and speeches that could be done. Up until that point, the 4-H member had not been exposed to any projects outside the realm of livestock. The agent had brought a colorful Fleishman’s Yeast Bread Cookbook that caught the eye of the young girl (at that time, Fleishman’s Yeast was a national sponsor for the 4-H Breads Project). The girl went home excited and told her mother that she wanted to do a demonstration on yeast breads. Her mother smiled and said, “I’ve never made yeast bread, but we will give it a try.” The 4-Her and her mom began practicing and discovered great success at baking yeast breads, so the girl began organizing her food preparation demonstration. The 4-H breads category was very popular that year with a record number of competitors, but that didn’t scare this member. She won the county and district contests her first year competing which pushed her on to state competition in which she placed third in the state. 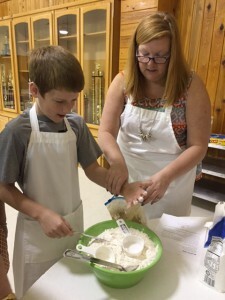 For this 4-H member who had struggled in school, much needed confidence began to grow. From that point on she began considering a career as an Extension Agent. After high school, this young lady went on to college and obtained a degree in Home Economics. She has served 30 years as an Extension Agent encouraging youth to be all that they can be in whatever their interests and desires. Yeast breads have been a vehicle for this agent to teach people many life lessons and skills. You may know this agent as Monica (Lewis) Brinkley, UF/IFAS Extension Liberty County Extension Director. In honor of November, National Bread Month, and the fond memories of learning to bake yeast breads with her late mother, Monica and her Family and Consumer Sciences colleagues across the Florida Panhandle have put together a workshop titled, Rediscover Bread Baking And Jam-Making to teach families how to make bread in a bag and preserve jam. The families work together and carry home whole wheat yeast bread and preserved jam to enjoy together. Although the bread and jam do not last long, the memories created and skills learned will last a lifetime. If you are interested in this workshop or other workshops similar to this, please contact your local UF IFAS Extension Office or visit http://florida4h.org. 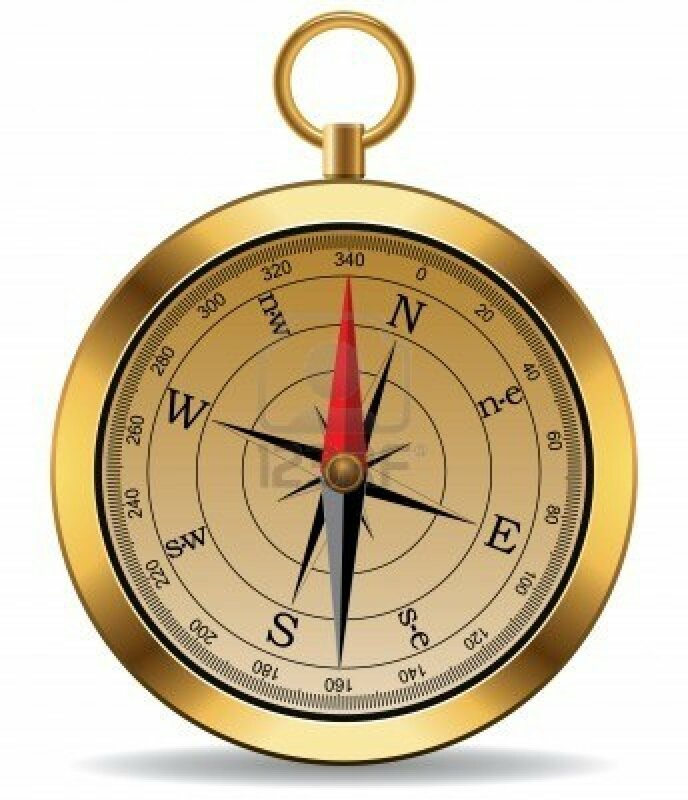 You never know where this may take you or a member of your family! For many people, their holiday shopping begins on Black Friday. Cyber Monday, which falls after the Thanksgiving weekend is a great way to order gifts online- especially if you do not like crowds. Many retailers will lure shoppers in on Cyber Monday with free shipping deals. UF IFAS Extension offers some great tips for keeping your personal information secure when shopping online, as well as advantages and disadvantages of using prepaid cards. Between Brown Thursday (businesses that are open for shopping on Thanksgiving Day), Black Friday and Cyber Monday, here are a few tips to help cope with the phenomenon after-Thanksgiving shopping has become. Plan ahead—many retailers will have their ads out for the season well before Thanksgiving to allow for consumers to plan ahead and see who is offering which item at the best price. Planning ahead will help you have a fun experience. Set a budget—this is a vital step to any shopping! You have to decide how much total you plan to spend or you will have to eat bread and water all December and January! Seriously, set a budget and stick to it. Make your list and remember, if you said $20 each person, you really mean $20 limit for each person. There is some wiggle room with this if you find a great gift for one person on sale, the extra $5 or $10 could go to someone else’s gift. Check the ads—know what retail cost is before you fall into a trap. Retailers may taught a great television at only $150, however, what is the regular retail for that brand? Is it really a $175 television? The internet can be your friend with consumer reviews and the information is already out for the ads. 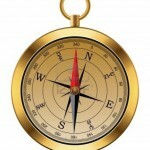 Check out www.blackfriday.com for the deals and do some research ahead of time. Form a team—this sounds strange, I know. I have a group of friends that are a Black Friday Team. We get together and look at the ads. If I am interested in bed sheets that are on sale at one retailer and my friends wants some tools at a completely different retailer, we will divide and conquer. I will go to the tool store and she can pick up my sheets. We are able to both get what we want and essentially be in two places at once! Holiday shopping can be leisurely and enjoyable. That is not shopping that is done on Black Friday. The shopping that is done on Black Friday is more like a sport. It’s fast-paced, very exciting and can also be rewarding. Follow the tips above and have fun shopping, oh yeah, and drink some coffee. It’s hard to get up at 3:00 in the morning and face the crowds without some coffee! For more information on smart strategies for seasonal savings, read this factsheet. If you have a passion for smart shopping, consider coaching a 4-H Consumer Choices Team. This 4-H event helps prepare youth to make smart and informed shopping decisions. For more information about this and other 4-H money management programs, contact your local UF IFAS County Extension Office or visit http:/florida4h.org. For more than 33 years, Priscilla Weaver has been teaching youth about animal science through the 4-H club program. This time of the year you can find her at the North Florida Fairgrounds in the livestock buildings. 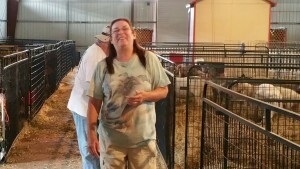 As the North Florida Fair’s Livestock Director she’ll be busy putting on a great livestock show and competition for youth and adults. Priscilla Weaver is passionate about growing the 4-H animal science program. 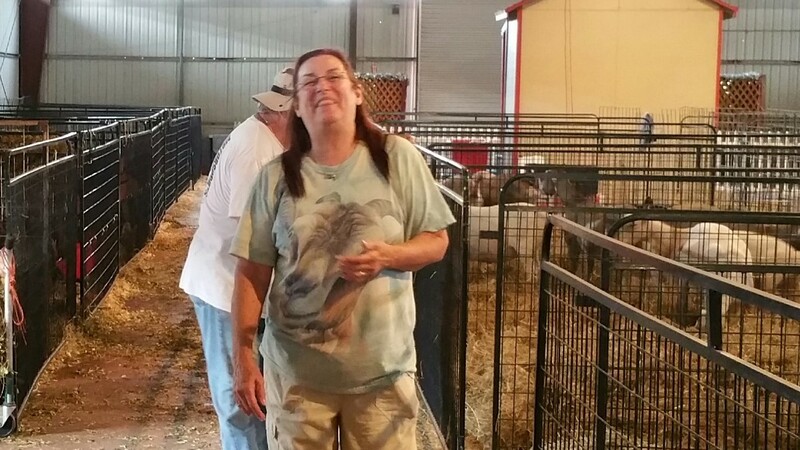 For more than two generations (33 years) Priscilla has been teaching youth about animal sciences and animal husbandry as the Kapra Kids Dairy Goat 4-H Club Leader in Wakulla County, Florida. “It teaches them so many things; math and science, recordkeeping, planning and responsibility. Participating in a 4-H animal project also teaches caring and empathy by having responsibility for an animal,” says Priscilla. Empathy and caring are two traits Priscilla has in abundance. When not volunteering for 4-H, she spends her free time working at the fair, caring for her own livestock, or volunteering with the senior group at her local church. 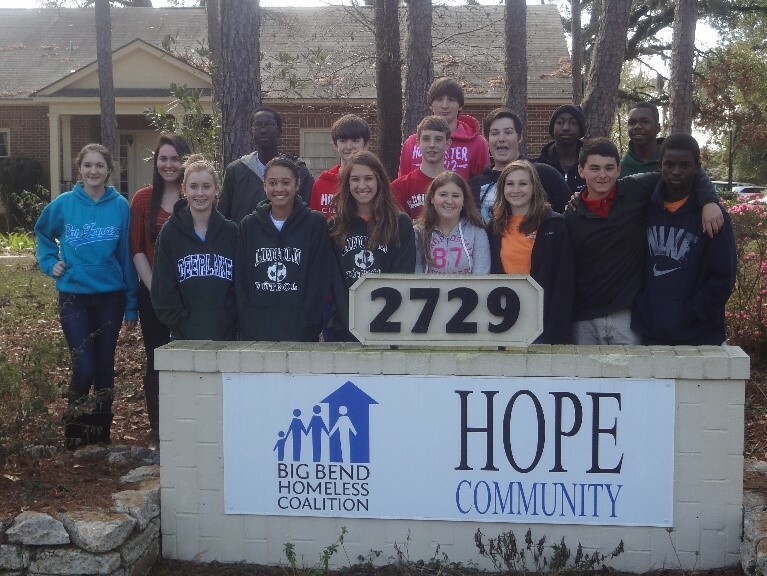 These traits also display in the activities of Priscilla’s 4-H club as they participate in many community service projects and also in her leadership of multi-club service projects at places like the local senior center. When asked what has kept her going as a 4-H volunteer for so many years Priscilla will tell you that it’s because, “she loves working with the youth.” Because of volunteers like Pricilla, 4-H is able to help youth grow resilience, empathy, and responsibility through animal science programs. These are life skills that will help youth be successful no matter what career path they choose. If you want help empower young people to be the best they can be by sharing your passions in a meaningful way Like Priscilla has, consider becoming a 4-H volunteer. The Florida 4-H Program offers a wide variety of volunteer roles to fit your schedule, interests and skills. Contact your local UF IFAS Extension Office or visit http://florida 4h.org/volunteer for more information on how to volunteer today. General 4-H Policies on membership and participation can be found online. Note that the 4-H Age policy did change this year on September 1st. Rules related to specific contests and competitive events can be found on the events page. State Level Competitive Event Rules– Youth must be enrolled in 4-H at least 30 days prior to the events and they much have completed at least one year of 4-H work including the current year, as established by the 4-H Agent. 4-Hers on a state level winning team may not compete as FFA members the next year or vice-versa. Cancellation policy– Participants who register for an event and cancel before registration closes will receive a full reimbursement of any associated fees. Once registration has closed, no refunds will be awarded unless a documented medical emergency or natural disaster inhibits a participant from attending. Make sure that your participation form is updated and current before an event (in case of an emergency). This applies to both youth and adult chaperones and volunteers. Forms can be updated electronically in 4HOnline or you can print and complete a paper participation form. Make sure you are familiar with event schedules, directions, dress codes, and what to pack (if overnight). Your local 4-H Office is a great resource. State-level event information can be found online and is updated often. We hope that this information will help you and your 4-Hers plan a successful project this year in 4-H. If you have any questions, please contact your local UF IFAS Extension Office, or view the Make a Difference Monday presentation. On November 16th, join us at 7PM Eastern/6PM Central to learn about Mastering 4-H Project Records, Portfolios and Awards. For more information about Make a Difference Monday, our online volunteer training series, visit our website at http://florida4h.org/madmondays.